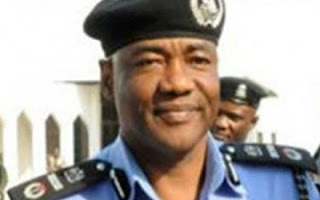 In Kaduna on Saturday, a policeman was alleged to have killed a printer. The victim, Elisha Joseph, 40, according to an eyewitness, was said to be making peace between a policeman and a prisons official (their identities could not be ascertained at press time) involved in a traffic offence. It gathered that trouble started at about 1pm when a prisons official and a police man were arguing about their rights on the road. Both of them were driving in opposite directions along the Forcados/Bonny streets in the heart of the city; just as both of them claimed to be on the right lane. While an argument ensued between them, the deceased reportedly left his shop and went to meet both men. He was said to have admonished the prisons official and the police man to calm down as they were both security men. Infuriated by Joseph’s comment, the policeman reportedly asked the printer who made him a judge over the case and hit the printer on the stomach and head repeatedly. The development forced hundreds of youths to barricade the Lagos Roundabout and all entrances leading to Magaji Garin Police Station, protesting the death of the printer. Commuters, commercial motorcyclists and residents of the area scampered for safety thinking it was another crisis while youths displayed green leaves, demanding immediate justice over the killing of Joseph.